I am currently using Firefox 6.0.1. In previous versions of Firefox, We could view the html source of a web page by going to View-> Page source. 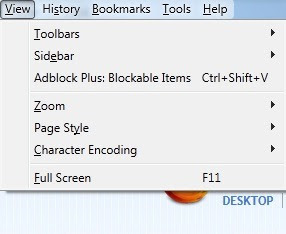 In Firefox 6, this feature is still there but it’s moved to a different place now. Click on Tools –> Web Developer. Here you can find ‘Page Source’ button. Alternatively, you can just use the keyboard shortcut ‘Ctrl – U’ to quickly open the source for the currently loaded web page.